snapshot graphs feature. You can find the first post here. dashboards. You can integrate them with chat applications and ticketing and bug tracking tools. they can be refreshed frequently to create a live dashboard experience. ideal tool for integrating CloudWatch charts with your webpages and third-party applications. console. You’ll find the JSON on the Source tab of the Metrics page, as shown here. including vertical and horizontal annotations. Create an EC2 instance to monitor. 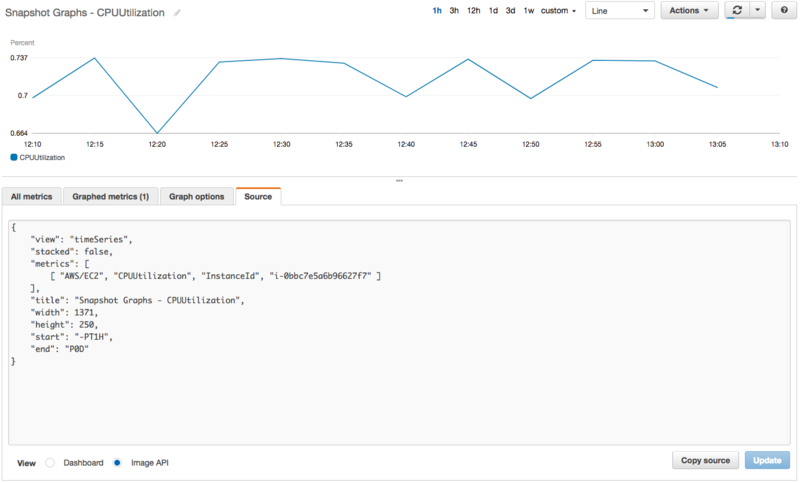 Create the Lambda function that calls CloudWatch GetMetricWidgetImage. Create an API Gateway endpoint that proxies requests to the Lambda function. Embed the widget into a website and configure it for the API Gateway request. The code for this solution is available from the SnapshotWidgetDemo GitHub repo. the additional flexibility you have to secure the endpoint and create fine-grained access control. For example, you can block access to the endpoint from outside of your corporate network. Amazon Route 53 could be an alternative solution. includes a basic webpage containing the embed code. website in an IMG HTML tag. Upload snapshotwidgetdemo.zip to any S3 bucket. Upload ./server/apigateway-lambda.json to any S3 bucket. Navigate to the AWS CloudFormation console and choose Create Stack. Point the new stack to the S3 location in step 5. During setup, you will be asked for the Lambda S3 bucket name from step 4. Edit ./demo/index.html to replace the following placeholders with your values. key value, go to the Keys tab of the Amazon API Gateway console. 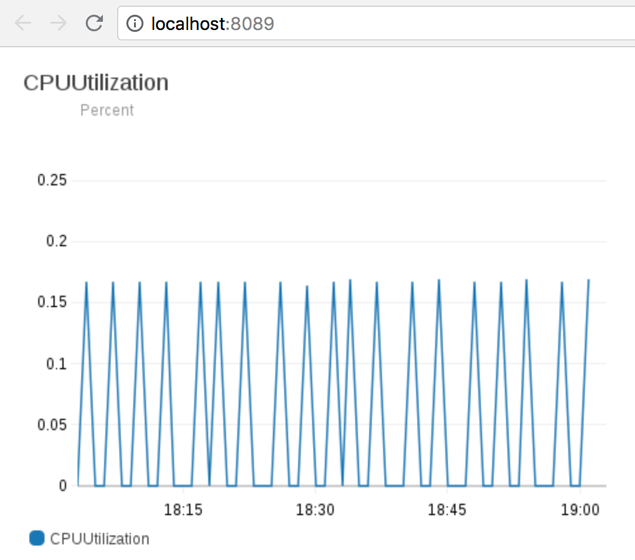 graph with the CPU utilization of your EC2 instance. the name of your Lambda function. It would be great to hear your feedback.